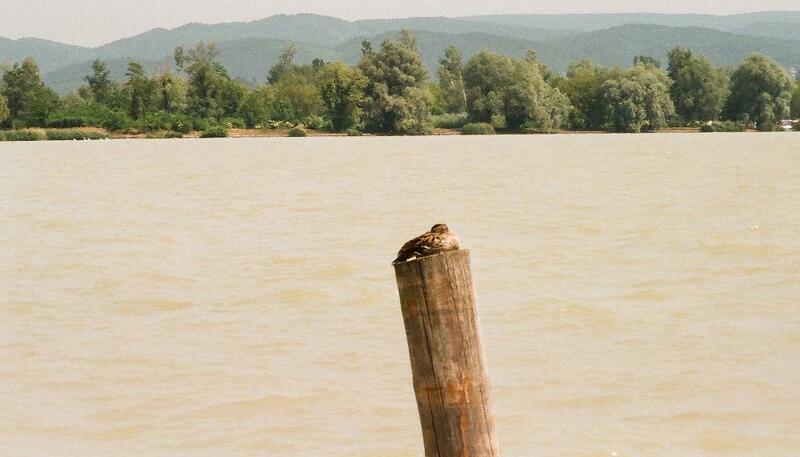 There’s nothing that Duck Holiday likes more than a nice lake (unless it’s high quality wholemeal bread and a glass of oatmeal stout, of course) and Lake Balaton is quite palpably a nice lake. It’s a pretty big one, too, in fact the biggest in Central Europe. How nice a view do you want from a hotel room? Naturally enough, it’s a tourist magnet, but don’t let that put you off. Going at the height of the summer might not be the best idea, but a visit in May or September is likely to be considerably quieter and you’d be a bit unlucky if you didn’t get some decent weather. 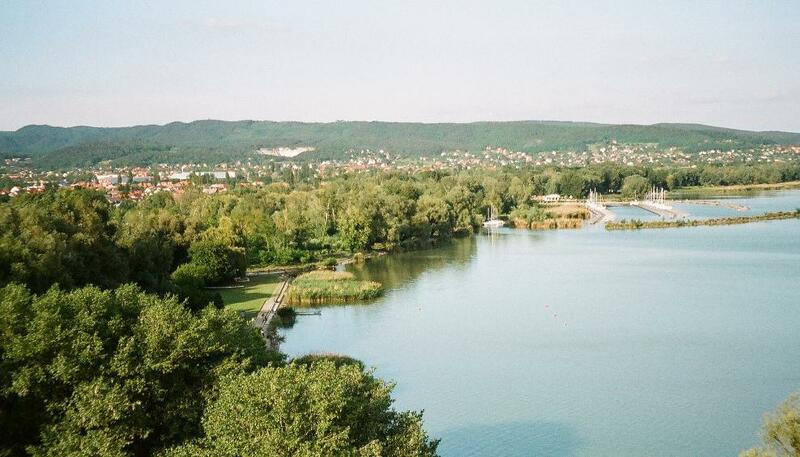 The biggest town around the lake is Keszthely, situated at the western end of Balaton. The town is not far from the border with Croatia; Keszthely is roughly half way between Budapest and Zagreb. It’s also in grape growing country, so a glass of decent wine is never too far away, either. The idea – and someone suggested this in all seriousness – that there is nothing to do is absurd. Clearly, it depends on what you like doing, but there should never be a shortage of options. You don’t have to spend the time sitting around or hanging about in Keszthely (though both are pleasant enough options for a short time). There are places to visit and things to see. A trip to Budapest isn’t too difficult. There are both bus and railway stations at Keszthely, but the bus is probably a better bet. Times vary, but there are quick buses that will get you to Budapest in less than three hours. Unless you’re planning to stay in Budapest, you will only have the opportunity for a fairly quick look around the capital from a day trip, but for a first-time visitor, it provides a nice little taster and will leave you eager for more at a later date. Neither the bus nor the train will cost you a fortune. 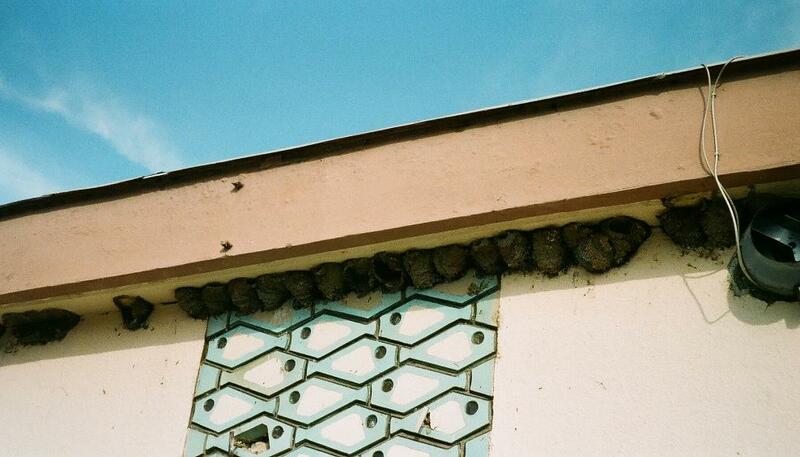 Keszthely bus station is a haven for House Martins during the summer and the whole area is a magnet for birds. Anyone staying near the lake can hardly fairly to notice the weird chirring and reeling bird sounds in the early morning. Closer investigation reveals warblers. Not just any warbler; these are Great Reed Warblers, warblers with both size and attitude. They are the biggest European warbler, not far off the size of a Song Thrush. At the risk of stating the obvious, they nest in the many reed beds around the lake and they’re not difficult to spot, often clinging to the tops of reeds to unleash their distinctive song. 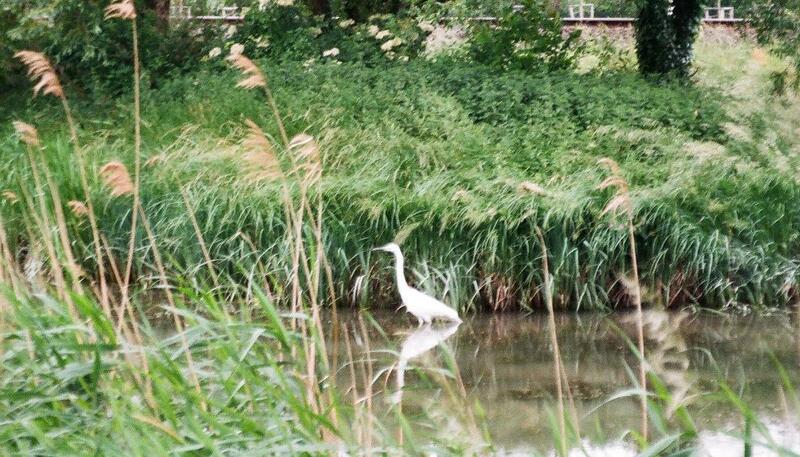 Even a short walk around the margins of the lake should reveal plenty of birds. This part of Europe attracts lots of bird, as well as human, visitors, so migrant warblers, flycatchers and many other species can be seen. Herons and egrets lurk around the edges and it’s not too difficult to encounter relatively exotic species like Purple Herons and Great White Egrets. If you’re lucky, you might also spot an osprey fishing on the lake. There is one bird that it’s easy to overlook because a superficial glance will probably suggest that you’ve just seen a robin. Not necessarily; it might just be a Red-breasted Flycatcher. A good way to tell the difference is in the behaviour. Flycatchers will hunt from a favourite perch, speeding off to catch their prey before returning to the perch time and again. There are plenty of ways to get around. In addition to the buses and trains, there are regular boat services to lakeside towns. There’s a pleasant day to be had by taking a boat trip, visiting a couple of places by bus and catching a train back to Keszthely. Since all of the towns and villages are postcard pretty, any trip of this sort is unlikely to be aesthetically disappointing. The prettiest of the towns on the northern shore is probably Balatonfüred, or simply Füred. Although it’s the third largest town by the lake, it’s a small place of stunning Baroque beauty. It’s also renowned for its spa waters and wine. Those looking for a bit more action should head to the other side of the lake and the town of Siófok. This is the place for the 24-hour party people, which rules out Duck Holiday, who favours a much more sedate existence. Public transport is cheap and it’s worth having a trip on the train as there are stations at almost every little town or village by the lake and thankfully Dr Beeching had no Hungarian equivalent. If you’re planning to do quite a bit of travelling, you can buy a combined ticket for trains and boats. A seven-day ticket costs about £15, so it’s good value if you intend to make a few trips. Keszthely has attractions of its own, however. Situated in a large and rather lovely park, there’s the splendidly Baroque Festetics Palace, for a start, which houses the Helikon Castle Museum, notable for its substantial and extensive library. There are several other museums in the town, including the Marzipan Museum for those with understanding dentists. The town also has a decent variety of restaurants, including vegetarian. This being a tourist area, they’re not the cheapest around, but you shouldn’t have to pay a fortune for a decent meal. They are certainly cheaper than hotels, and that applies to having a drink as well. One nice way to spend an evening, assuming the weather is nice, is to sit at one of the little bars by the lake, where you can watch both the sun and the beer go down. For a pleasing snack to accompany your drinks, try a potato pancake, or lángos in Hungarian (a personal preference involves plenty of garlic). Civilisation doesn’t come much better than this. One can, of course, indulge in the local wine and there is plenty of it. 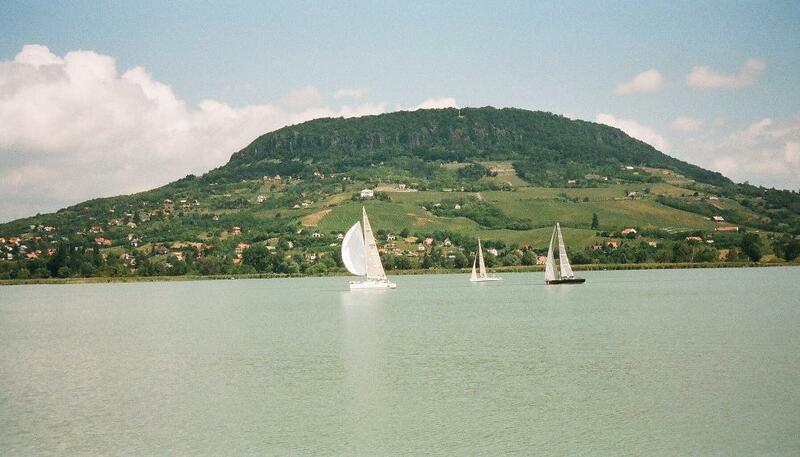 There are five wine regions around Lake Balaton. Balatonboglár, on the south side of the lake is the centre of Balaton’s wine trade, but there are vineyards all along the northern shore as well. Many of the wine cellars can be visited by the public, though it’s safer to make a booking in advance. Those who prefer to treat holidays as exercise camps have plenty of options, from water sports to cycling and hiking. 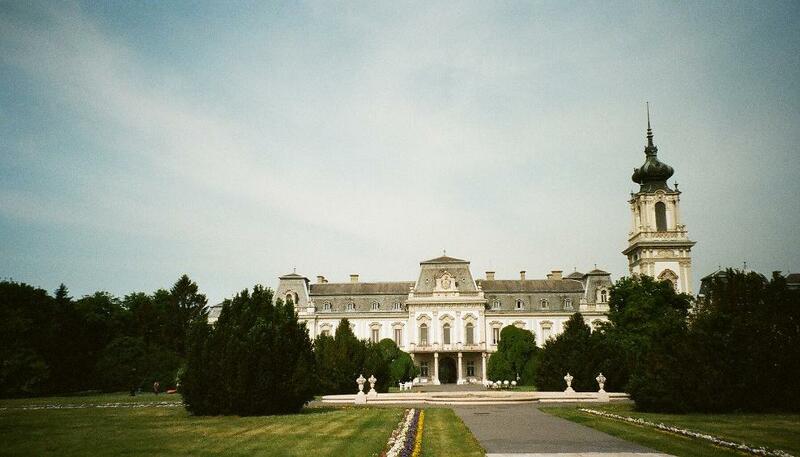 There are myriad cycle routes around Keszthely and lots of countryside to tramp around in. If you’re high enough in the hills on a clear day, you can see a long way. As The Carpenters almost sang, you’ll be on top of the world, looking down on Croatia. Even in the busier parts of the tourist season, there’s no need to be swamped by the crowds. There is plenty of space and there are plenty of places to find some peace and quiet. Several thousand ducks cannot be wrong. This entry was tagged Balaton, Hungary, Keszthely. Bookmark the permalink.